Gustave Kaibott (FR. Gustave Caillebotte, 1848−1894) — French collector and the painter, the representative of impressionism. Gustave Caillebotte was born on August 19, 1848 in Paris in the family that belonged to the upper layers of Parisian society. His father, the St John and St martial Caillebotte (FR. 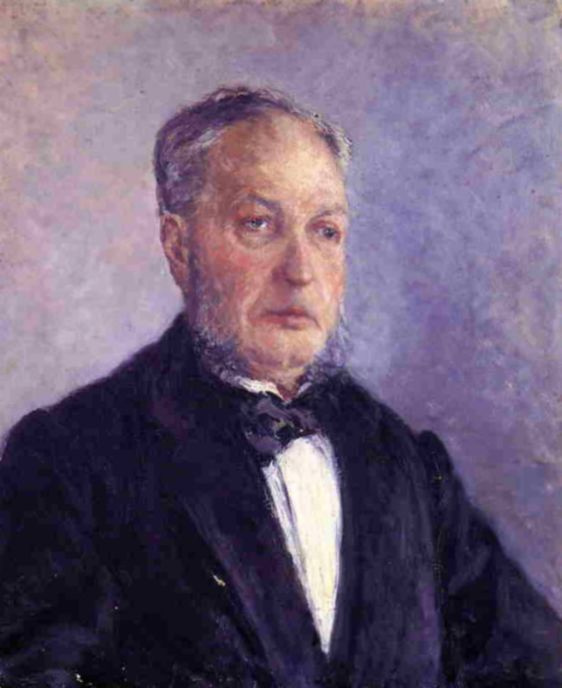 Martial Caillebotte) (1799−1874), inherited textile production, he also served as a judge in CENTCOM Tribunal for trade. Gustave Caillebotte was born on August 19, 1848 in Paris in the family that belonged to the upper layers of Parisian society. His father, the St John and St martial Caillebotte (FR. Martial Caillebotte) (1799−1874), inherited textile production, he also served as a judge in CENTCOM Tribunal for trade. St John and St martial Caillebotte twice-widowed before he married the mother of Gustave, Celeste Define (FR. Céleste Daufresne, 1819−1878). In addition Gustave they had two more sons — Rene (1851−1876) and St John and St martial (1853−1910). Caillebotte was born in the house in Paris Faubourg-Saint-Denis and lived there until 1866, while his father built a house on the street Miromesnil in Paris. Family Gustave conducted in summer a lot of time in Hyeres — the city on the same river about 15 km South of Paris when, in 1860, St John and St martial Caillebotte bought the estate. Around this time, Gustav began to paint. Many paintings Caillebotte depict members of his family and everyday life. On the canvas "Young man at the window" (1875) sealed Rene in the house on the Rue de Miromesnil, and the "Orange trees" (1878) depicts St John and St martial with a cousin Zoe in their garden in Ierre; "the Portraits in rural areas" (1875) shows the mother of Caillebotte, his aunt, cousin and friend of the family. Caillebotte the completed legal education in 1868 and was licensed to practice in 1870, Soon after he took part in the Franco-Prussian war. After the war, Caillebotte visited the Studio of the artist Leon Bonnat where seriously studied painting. In 1873 Caillebotte entered the school of fine arts, but, apparently, he studied it seriously enough. 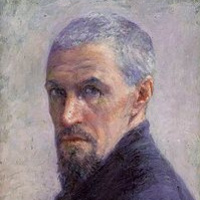 At the same time, Caillebotte met and got acquainted with several artists working outside the formal French academies, including Edgar Degas and Giuseppe de Nittis, and visited the first impressionist exhibition in 1874 (but did not participate in it). 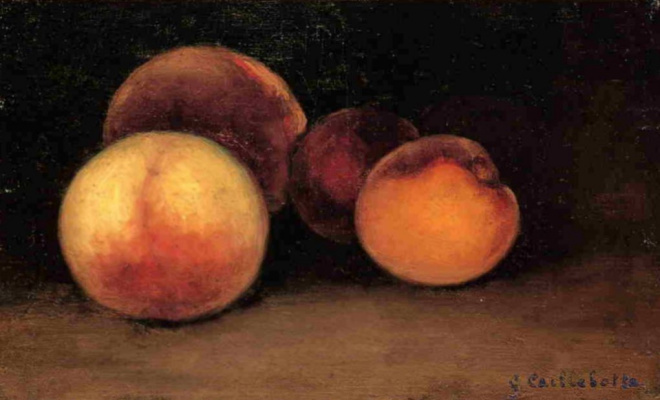 After his father’s death in 1874 and mother in 1878 Gustave got a solid state, which allowed him to paint, not caring about the sale of their works. He also had the opportunity to participate in the financing of impressionist exhibitions and support of his friends and colleagues-artists including Claude Monet, Auguste Renoir, Camille Pissarro, and others), buying their work, and also — at least in the case of Monet — paying rent Studio. 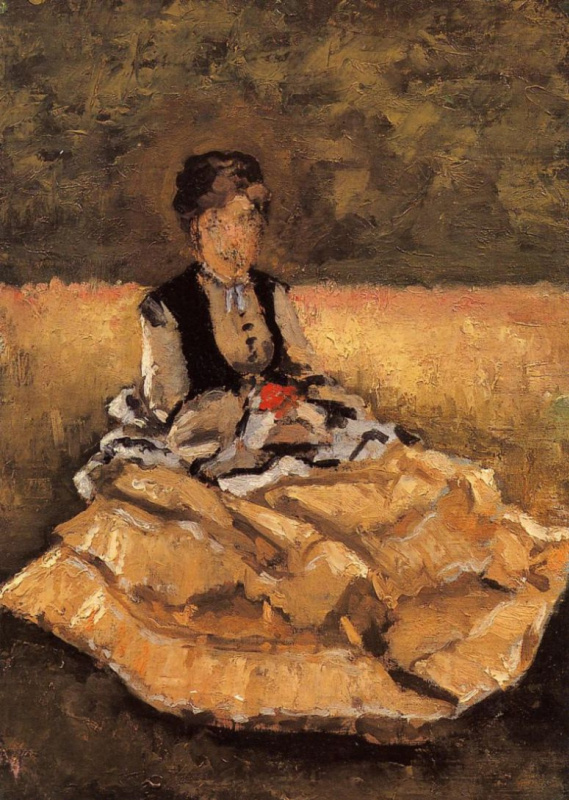 In addition, Caillebotte used his fortune to Finance various Hobbies, whom he worked with great enthusiasm, including collecting stamps (his collection is now in the British Museum), orchids, construction of the yacht, and even textile design (women in his paintings "Madame Boissier with knitting" (1877) and "Portrait of Madame Caillebotte"(1877) probably worked on designs created by Caillebotte). 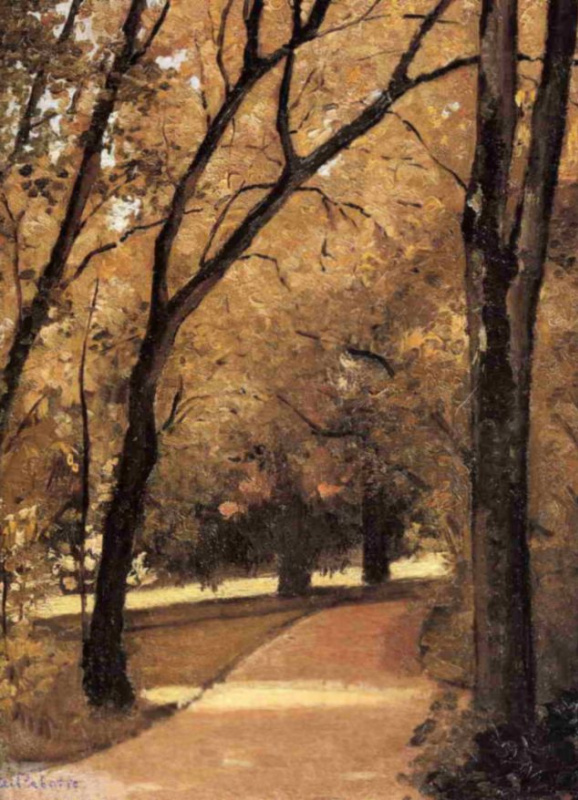 Caillebotte wrote in the style of realism. Like his predecessors Jean-Francois millet and Gustave Courbet, as well as his contemporaries Degas, Caillebotte wanted to show the reality as it is and as he sees it, hoping thus to reduce inherent in the painting of the dramatic character. He also shared the commitment of the Impressionists in the transfer of reality. Caillebotte wrote many family scenes, interiors and landscapes in Jarre, but the most famous of his paintings steel sheet is devoted to Paris, as, for example, "Parquet" (1875), the "Bridge of Europe" (1876) and "Rainy day in Batignolles quarter" (1877). These paintings was controversial because of their simple, often very simple story and exaggeratedly-depth perspective. Tilted surface common to these paintings, is a characteristic feature of the work of Caillebotte, which arose under the influence of the Japanese charts and new technologies. 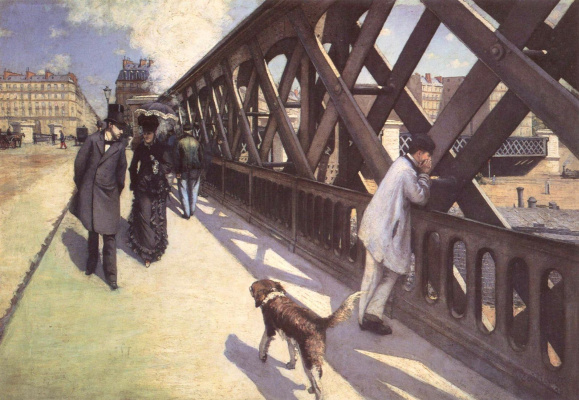 The truncation techniques and increase occurring in the works Caillebotte, are perhaps the result of his interest in photography. 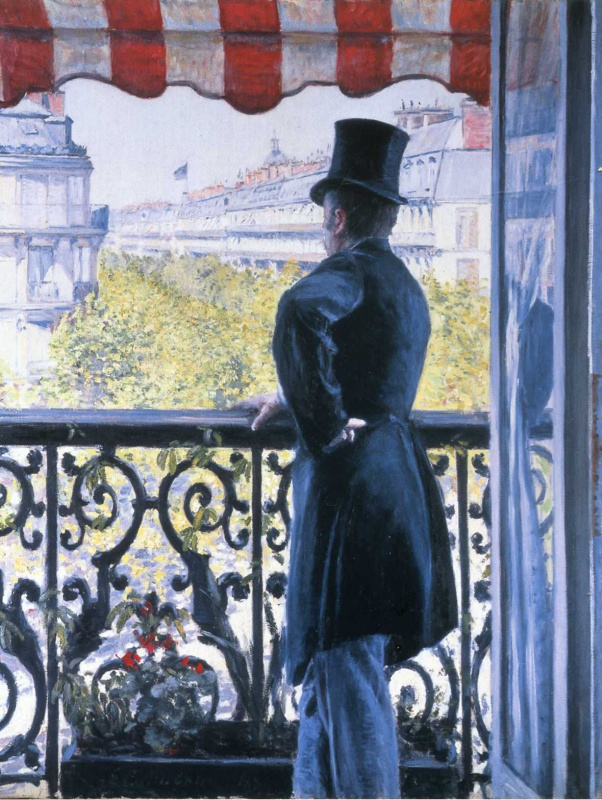 In many works Caillebotte uses a very high angle view, as, for example, the image of balconies on the "Vue des toits, effet de neige" (1878) and "Boulevard vu d’en haut" (1880). In the picturesque career Caillebotte came a sharp decline in the 1890s, when he stopped writing large-format canvases and to exhibit their works. 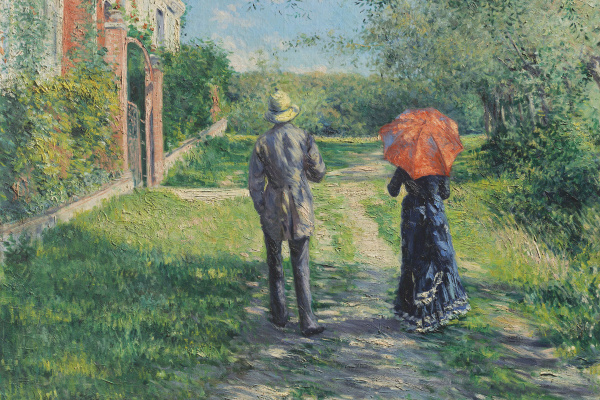 In 1881 he became the property of the estate in Petit Gennevilliers on the banks of the Seine near Argenteuil and moved to live in 1888, He devoted himself gardening and construction of racing yachts, spent much time with his brother St John and St martial and other Renoir, who often stayed at Petit Gennevilliers. According to many sources, shortly before his death he had an affair with a woman much younger than him, Emily Slouch, but there is no official evidence. 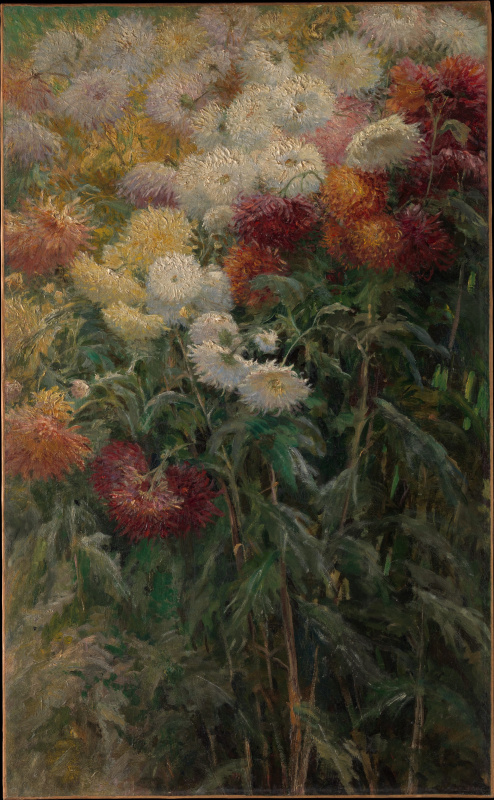 Caillebotte died on February 21, 1894, while working in his garden in Petit Gennevilliers. He is buried at the Pere Lachaise cemetery in Paris. Parquet, 1875, The Musee D’orsay, Paris. 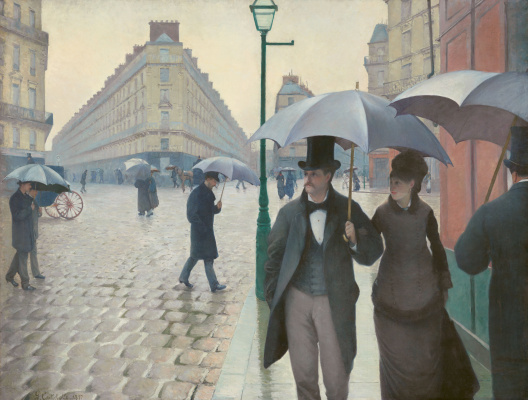 Like Degas, Caillebotte sought realistic transmission dynamics of the everyday life. 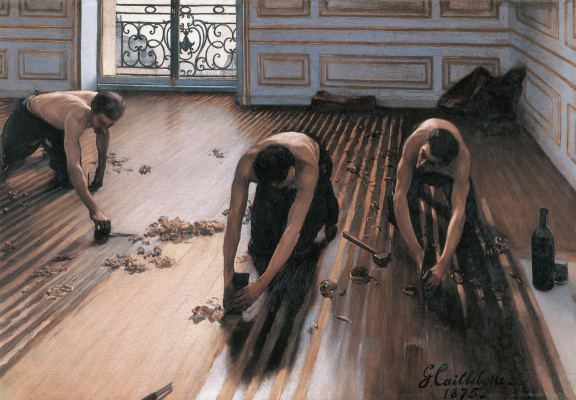 Long-time reputation Caillebotte as patron was significantly higher than its reputation of the artist. Seventy years after his death, art historians began to reconsider his artistic heritage. New auction records were set at the first art evening sales this year in London. 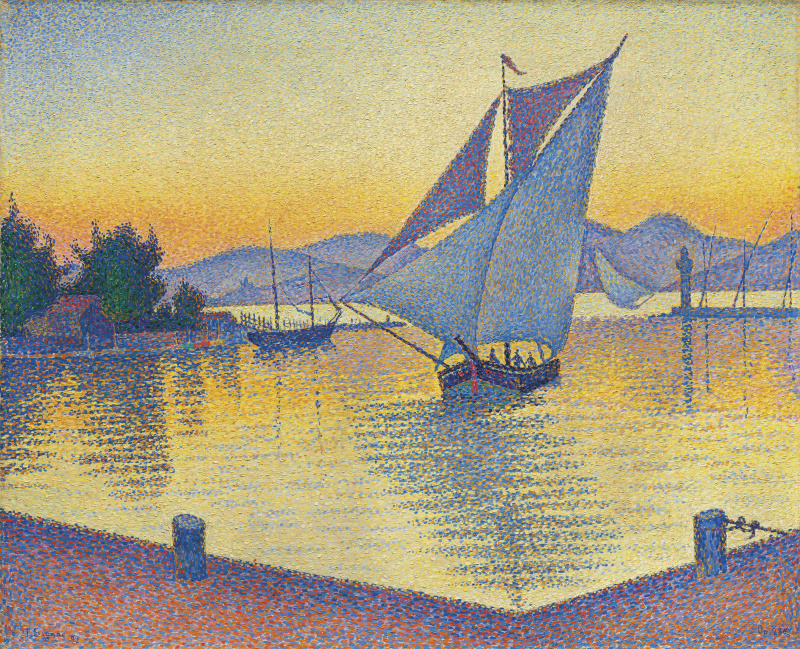 P. Cézanne, P. Signac, R. Magritte got the highest prices and lead Christie’s Imp-Mod and Surrealist Evening Sale - $28.1 mln, $25.8 mln, and $24.3 mln respectively.